RespectAbility reached out to Walker’s opponents, Democrat Mark Begich and Republican Mike Dunleavy, as well, but received no response, according to the organization’s Executive Director, Jennifer Laszlo Mizrahi. Answer: I believe that inclusion begins at home and am practicing and promoting the hire of people with disabilities within the executive branch. I pro-actively seek and appoint strong advocates within the disabilities community to state boards and commissions. My administration has supported a variety of legislation intended to provide people with disabilities more opportunities. For example, I passed legislation eliminating employers from paying subminimum wage. Most recently, I signed HB 336 – legislation providing a statutory framework for supported decision making for people with disabilities. I progressively implemented the Workforce Innovation and Opportunity Act and am fully supportive of the Americans with Disabilities Act. Answer: My administration has a strong record of supporting people with disabilities pursue employment and meaningful careers. In 2015, I unilaterally implemented Medicaid expansion. 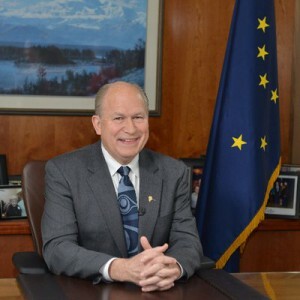 This not only provided health care to 44,000 Alaskans not previously covered, but also allowed many individuals with disabilities to obtain the Medicaid care they needed to maintain their health and support while they pursued work or engaged in part-time work, without having to wait for disability determinations. In 2016, I signed the Alaska ABLE Savings Program Act into law, creating the opportunity for people with disabilities on public assistance programs to save money for many purposes, including employment training and support, assistive technology, transportation and personal supports services, all of which can support employment. Furthermore, throughout my administration, I have worked to maximize state resources in order to capture federal grant funds. Answer: I am a huge supporter of career and technical education and giving youth opportunities to learn soft skills while they are still in school. I believe such programs provide opportunities not otherwise found in the classroom. I am a firm believer in support programs like apprenticeships. These programs give youth opportunities to learn a variety of skills and try out different professions in a supportive environment. My administration works to provide pre-employment transition services to students with a disability through job exploration, work-based learning, counseling towards post-secondary education, work-readiness skills, and self-advocacy. Answer: The Alaska Department of Education and Early Development has several accommodations/services to assist students with disabilities to succeed in school and be prepared for a competitive environment. For example, the Department provides multiple courses in its eLearning program to boost educators’ skills in working with specific learning needs. Example courses include Identifying Learning Theory, Strategies for Accommodating Individual Needs, Individualized Education Program, Monitoring Student Progress, Post-Secondary Transition Planning in the IEP, and Supporting Student Learning Styles. In addition, the Department has two foundational webinars available to help teachers improve their skills in working with students with low literacy levels and has a special education section of Student Learning that closely works with district special education directors. The Department also works collaboratively with Alaska organizations on the Alaska Statewide Special Education Conference. This conference is committed to providing high quality professional development relevant to cultural, rural, and remote characteristics of Alaska, and has provided those services for over 20 years. Finally, the Department of Education makes all programs open and available to all student participants. Alaska complies voluntarily with the participation in National Instructional Materials Access Standards/Center. Participants with physical handicaps are provided access to facilities in compliance with Section 504, the Americans with Disabilities Act, and federal and state laws. Answer: The Alaska Department of Corrections provides a number of educational, vocational, and pro-social education programs for inmates. Correctional facilities generally provide adult basic education, general education development classes and testing, and other specific classes for adult learners. A number of facilities also provide employment workshops, computer instruction classes, and other vocational opportunities. I believe that providing such educational and vocational opportunities helps reduce recidivism and enhances opportunity. Once out of prison, the Alaska Department of Health and Social Services provides a number of community supports, such as supported employment under the Medicaid 1915(c) waivers. In addition, the Department is pursuing a Medicaid 1115 demonstration waiver to ensure that the State of Alaska can offer a range of mental health supports for individuals with disabilities re-entering the community. Answer: The Alaska Department of Health and Social Services maintains a staff of adult and child protective services workers to investigate and resolve incidents of abuse. The Department also works closely with law enforcement to ensure the safety of individuals with disabilities. In 2017, I signed HB 16 16 into law. This bill provided for rules and responsibilities for law enforcement and correctional officers regarding treatment of people with disabilities. The law specified the rights of those with disabilities and detailed the appropriate ways to interact with them. The bill also provided an option for people with disabilities to voluntarily obtain a driver’s license that provides information on their disability should they be stopped by law enforcement officers. Finally, I am supportive of increasing awareness on Fetal Alcohol Spectrum Disorder by focusing on Prevention, Screening, and Diagnosis, Early Intervention and Education, System Transformation and Navigation. Question 7; How would you ensure that people with disabilities have access to healthcare and the benefits they need while enabling them with opportunities to work to the best of their capacities without losing the supports they need to live? Answer: I believe that the implementation of Medicaid expansion and the State’s 1332 waiver for reinsurance in the federally facilitated marketplace have both allowed people with disabilities to stay in the workforce by providing them access to healthcare without having to rely on disability-related Medicaid. These programs, together with the recently enacted ABLE legislation, Alaska’s long-standing Medicaid Buy-in for working people with disabilities, and the Medicaid personal care program can support people in their efforts to work, without putting their health benefits at risk. My administration looks to continue to strengthen our housing and transportation supports to ensure that health care and employment opportunities are more accessible. Answer: Alaska has a long history of providing long term services and supports in the community and outside of institutions. Alaska was one of the first states to eliminate all its Intermediate Care Facilities for Individuals with Intellectual Disabilities. I have continued this tradition, looking for opportunities to improve and expand. Part of his Medicaid reform package included adding the Community First Choice Medicaid option and a new Individual Supports Waiver for people with disabilities. My administration continues to maintain a strong Medicaid personal care program for individuals who do not meet an institutional level of care, and we are pursuing a Medicaid 1115 demonstration waiver to ensure that people with behavioral health needs can receive the care they need in the least restrictive setting. I have expanded the Aging and Disabilities Resource Centers to ensure that people can successfully navigate to the available supports. Answer: My administration continues to look for cost effective ways to utilize assistive devices and other technologies to support people in their home, work, and community. We included a tele-health component in our Medicaid reform legislation as one of the challenges in Alaska is making sure that the technology is appropriate for the available infrastructure. In a state made up of many far-flung communities, the bandwidth is not always available, the cost of communication can be high, and technical suppers can be a long plane ride away. Answer: My offices and website are available and accessible to people with disabilities. Beyond just press releases and written content, my website provides a number of different graphics and videos with audio to capture different priorities and messages.